10 Best Fishing Games For Android ~ Learn To Fish! I literally listen to music for almost 10 hours every day, and that is because I make use of awesome android music players. I can show you some best android music players that could make you uninstall your stock music player. 🤔 Uhm, don’t rush it yet until we get through with the article. 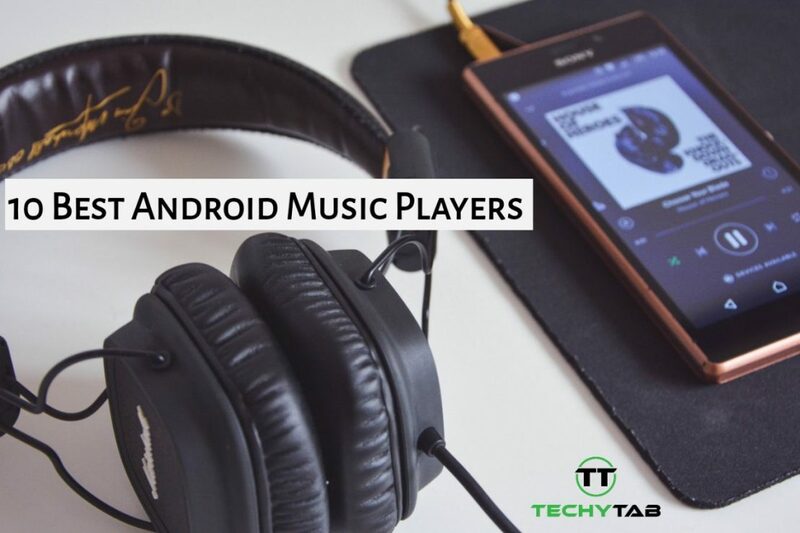 So, I compiled a list of the best android music players in 2018 that will help you enjoy your musical life the more. This app here is one of my favorite. It supports standard local music file format like MP3, WAV etc. It has a built-in Equalizer, bass-boost & 3D surround virtualizer which is awesome Because with this feature you’ll be able to increase the bass to give you a better sound. You are able to change Themes, fonts, and colors to your taste. BlackPlayer is one of the best android music players because it is very customizable. This awesome app is a free android music player, It consists of 10 bands graphic equalizer and various sound effects, Like Crystalizer and AM3D Audio Enhancer. JetAudio is one of the highest rated android music players, that gives you highest quality sound. It’s been programmed to help you play all type of music file formats. With JetAudio, you can play music via Wi-Fi from a shared folder on a local home network. If you are looking for something extraordinary from other android music players, then I suggest you give N7Player a try. You’ll be able to customize every single element of your music player. With N7Player you don’t have to go searching for your music when you launch the app. It also has a file browser with filters, widgets, lock screen with direct unlock, headset support. shuffle features, last.fm scrobbling, embedded lyrics via the musicXmatch plugin. Phonograph is quite new, it been rated one of the best android music players because it has a very pleasant design that is very unique. This baby automatically downloads additional information about your artists such as their biographies and covert arts. It naturally comes with an inbuilt theme engine that enables you to gradually customize it to your taste. It has other features like Mp3 tag editor, home screen widgets, and lock screen playback controls. If you need a lightweight, simple and materialistic music player, Then you should give it a TRY. PowerAmp is a dominant player for android, that could make you look for a possible means to uninstall your stock music player. It has been quite long it came into existence. My baby here has a nice sleek user interface, comes with lots of advanced playback features and supports different type of playlist. Also, it comes with two resizable widgets and a music tag editor. PowerAmp is one of the best android music player apps available in the google play store. Well, PlayerPro is one of the best android music player, but PlayerPro is been underrated by users. It does a nice job presenting your music. Even at that, it has an inbuilt theme engine that helps you customize the look of your music player. It comes with a nice user-friendly interface. PlayerPro is able to edit multiple Mp3 tags. Also, it supports video playback, five-band equalizer, some audio effects. This one of the best android music player that we came across so far. It comes with a gorgeous user interface. One of the most interesting features is that it supports GOOGLE VOICE COMMAND. Isn’t that wonderful?? Pulsar is an advertisement-free application. It has an android auto support, chromecast support, crossfade support, it also has features like Manage and play music by album, artist, folder and genre, Smart playlists, Fast search, Gapless playback support, 5-band equalizer controller, Bass booster and reverb settings. Shutter is another darling that has been getting a lot of reviews lately. According to one of the users, he said that SHUTTER music player is best for Amoled screen users. It has a minimalistic and nice materialistic design. This last baby here is one of the most unique best Android music players. It can process high-quality audio and also supports HI-Res Audio support. Here are a couple of things that this App can do. It can stream audio online. It supports a lot of audio file formats like Mp1, Mp2, Mp3, Alac etc. Well, I guess you should try this app out, because of its loaded features. So, Which one of the apps above do you think is the best music player for android? Let’s us know in the comment box below. In case we did not input any of your favorite Android music player, Kindly let us know in the comments below. 10 Best Equalizer Apps For Android | Get Equalized!!! Joshua Udoh My name is Joshua Udoh, your Favorite Apps and Games guy on Techytab. I love writing Articles for you guys to help solve all your Tech-related issues, I also love Art and drawing.